It’s one thing to know how to follow recipes, but it’s another thing to know how to cook. If you want to really start saving money on food, you have to start learning how to cook and acquire basic skills in the kitchen. Many things fall into the category of must-know recipes when cooking from scratch, but one of the most delicious is a basic cheese sauce. A basic cheese sauce is so versatile, so easy, and so delicious. Top a baked potato, make macaroni and cheese, add jalapeño juice to make nacho sauce, or top vegetables for reluctant eaters. 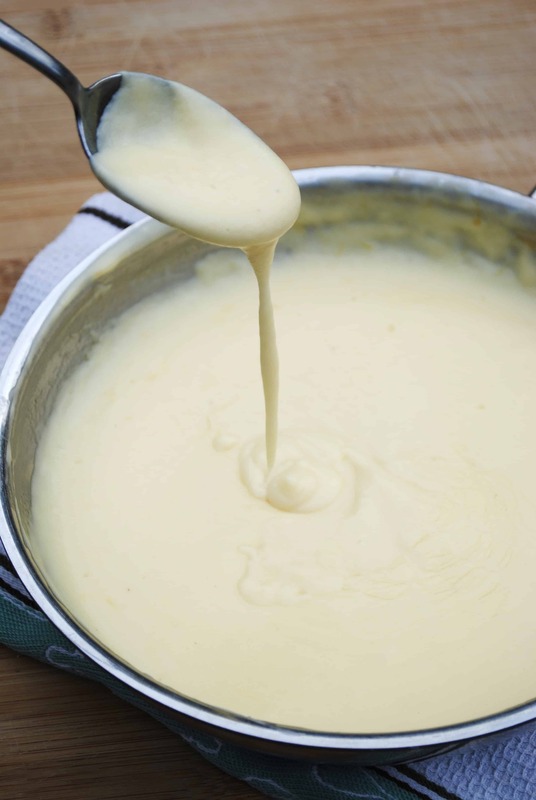 The easiest and most inexpensive way to make a basic cheese sauce is with a roux base. You cook equal parts of butter and flour together, then whisk in milk. Cook until it begins to thicken and add your cheese. Season with salt and pepper and eat. It’s as easy as that! This of course is a base recipe. You could add peppers and onions for a southwest flair, bacon or sausage to kick up the flavor, or make it spicy with pickled jalapeño juice. It is very easy to adapt for a variety of meals. In a saucepan, melt butter over medium heat. Whisk in flour and cook for a minute or two. Whisk in milk slowly. Cook and occasionally stirring until thickened. Remove from heat or turn heat way down, and stir in cheese a little add a time. If your heat is too high, your sauce might “break” and take on a gritty texture. Season to taste.